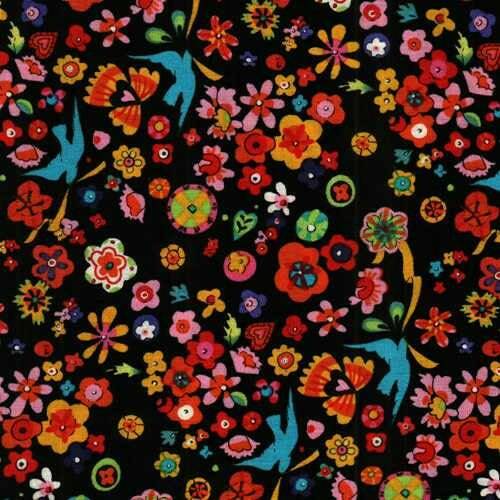 We couldn't resist adding this wonderful cotton floral fabric from Alexander Henry. A rich black background with brightly colored flowers and birds in shades of blue, green, yellow, pink and orange. A wonderful addition to make your quilt stand out or add a punch of color to your home decorating projects.